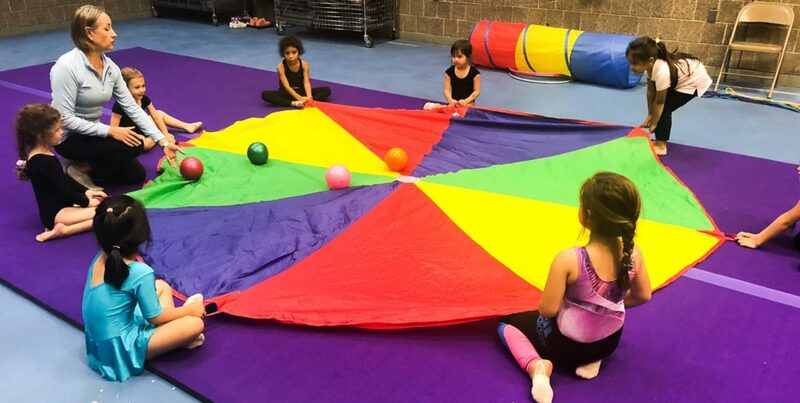 This Tots Rhythmic Gymnastics class is designed as a "mommy and me" class. The class will go through a detailed warm-up that will focus on increasing flexibility, strength, coordination & learning basic and safe body skills while utilizing an apparatus such as a Rope, Ball, Hoop, & Ribbon to music. The Tots Rhythmic Gymnastics classes are designed in groups of 2-3 years of age (45 min duration). We do offer Trail classes. Please contact Us for more info! 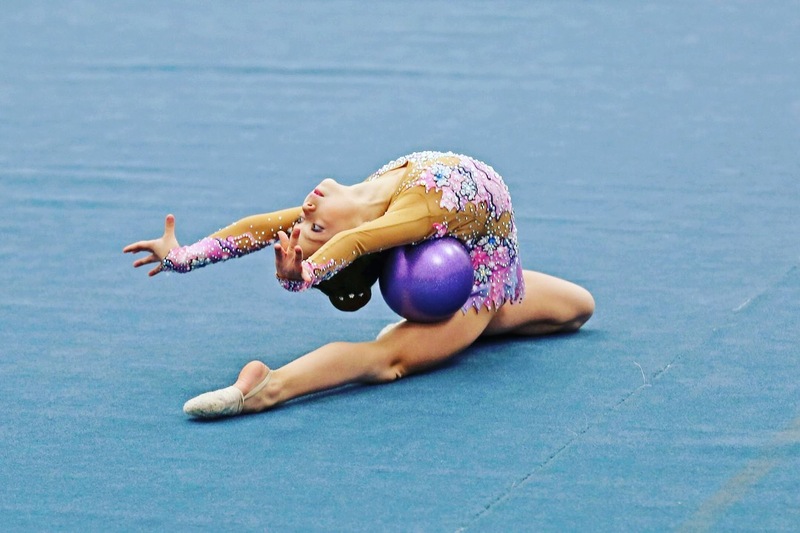 This Beginners Rhythmic Gymnastics class is designed to go through a detailed warm-up that will focus on increasing flexibility, strength, coordination & learning basic and safe body skills while utilizing an apparatus such as a Rope, Ball, Hoop, & Ribbon to music. Beginner Rhythmic Gymnastics classes are designed in groups of 4-5 years of age (75 min duration). This Beginners RG class is designed to go through a detailed warm-up that will focus on increasing flexibility, strength, coordination & learning basic and safe body skills while utilizing an apparatus such as a Rope, Ball, Hoop, & Ribbon to music. Beginner R.G classes are designed in groups of 6 years old & up (90 minute duration). This Beg/Adv class is designed to go through a more extensive warm-up that will focus on increasing and developing flexibility, Strength & learning to perform skills while utilizing an apparatus such as Rope, Ball, Hoop, & Ribbon to routines. Students training 2 times per week at this level may be considered as potential pre-team members (90 minute duration per class). This Pre-Team and Team program is by invitation only for gymnasts intending to take part in the competitive program. The members will train a minimum of 2 days per week for 2 to 3hrs hours a day, to enhance flexibility, leaps, pivots & strength while utilizing apparatuses, and perfect routines to prepare them for the competitions. Upon coaches approval, gymnasts will be invited to take part in upcoming competition seasons. Level placement depends on age, skill level and abilities, and dedication to training.